How much should we believe the paid apologists for the secretive U.S. Government? We understand (link) that the continuing U.S. "War of Terror" since late 2001 has cost nearly $5 trillion -- US$4,790,000,000,000. We also know that the citizenry has been continuously misled & lied to by government officials. We know very little about how these huge monies are being spent, or truly why. 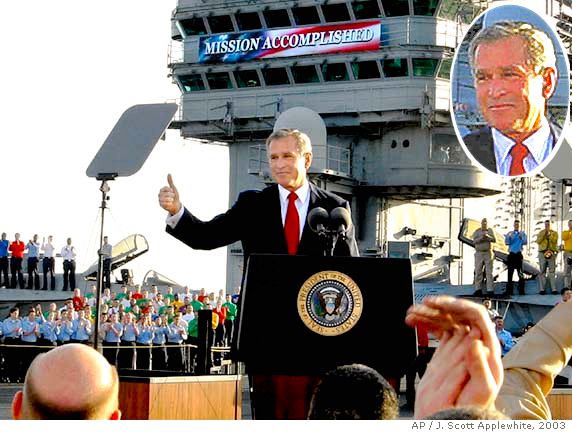 We were triumphantly informed "MISSION ACCOMPLISHED" many trillions of dollars ago. Billions of lives have been affected, millions have been killed. In such an environment, U.S. National Security Agency Contractor Edward Snowden illegally released documents to journalists describing spying & espionage by the US government and its allies. The U.S. House Permanent Select Committee on Intelligence (HPSCI), under Chairman U.S. Rep. Devin Nunes (R: CA) & Ranking Member Adam Schiff (D: CA) commissioned their staff to write a 36-page review of Edward Snowden's disclosures. In the 3-pg summary (prominently labeled UNCLASSIFIED, link) we are informed that Ed Snowden was not a whistleblower; that he is "a serial exaggerator and fabricator" with a "pattern of intentional lying." "The Committee has taken actions to improve IC information security in the Intelligence Authorization Acts for Fiscal Years 2014, 2015, 2016, and 2017, and looks forward to working with the IC to continue to improve security." The Committee report weaves the story of a robust system for U.S. Government oversight, which Snowden reportedly ignored. We're then told Snowden himself is basically a bum, who "washed out" of his Army training, grossly exaggerated his CIA duties, failed a component of NSA annual basic training, and instigated a workplace spat with his NSA managers. But as they assert in fact Snowden never finished high school, we're left wondering what kind of idiots hired & promoted him, how many of these nitwits have been fired, and how we might recover our $5 trillion of badly misspent funds. Our money, essential for other domestic programs, is certainly gone. No big money has gone to Snowden, but it continues to flow to his critics and the shadowy security colossus we blindly & dumbly fund. 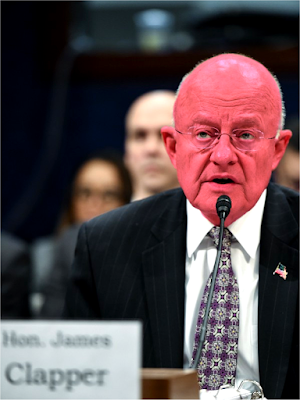 I believe Snowden -- above General Clapper. The Congressional boys from California, and their stooge staff, make themselves seem ridiculous. And I've not yet seen the movie... Clapper could be a nice guy, and Ed Snowden may fart. The real truth is that the American people are systematically and deliberately misled by our elected government as it operates secretly and often illegally. It's our multi-trillion dollar le$$on.